On July 18, 2009, I will become Jennifer Lynn Marszalek Phillips. 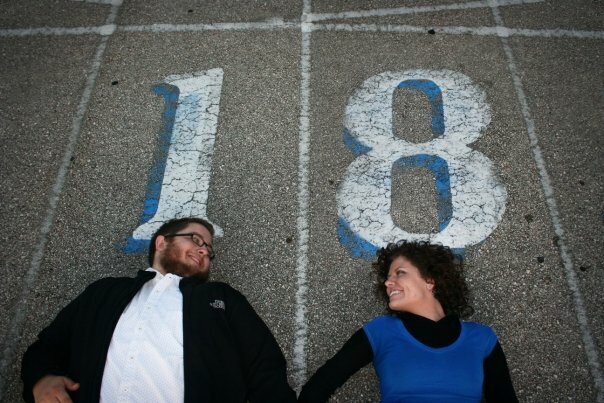 John and I are exactly 101 days away from getting married. You know, a white dress, a little chapel, and a preacher-man? The thing that I began dreaming about when I was a bride for Halloween in Kindergarten is now becoming true. And, God is teaching us so much more than we ever could have imagined. I began praying for John way before I ever knew his name. And, now I see the answer to all of those Scripture based prayers in him. I’m glad the Lord didn’t let me call it quits when I wanted to give up praying for my husband because it hurt and felt like it wasn’t working. But, John and I can see how God used so many of those prayers to bring the two of us to the point we’re at now. Jesus has made US the bride. We’re the ones that get pursued by Him. We’re the ones that get to become beautiful on the wedding day with Him. We’re the ones that get to feel the excitement of a bride all the time, because Jesus wants us to be excited to be with Him. We get to wear white and feel holy, even though we haven’t been. We get to be a fellow heir of Christ. We get unconditional love, grace, and mercy, because He desires us that much. We get to display our relationship with Him in front of a great cloud of witnesses. Too cool. I love that me submitting to John and loving him is a direct correspondence to our relationship with Christ. I love watching John pursue Jesus. Because, when I submit and pursue John, I know that I am directly following Jesus. This whole engagement thing has been so stinkin’ fun! From all of the highly spiritual stuff like getting a cool gun to register for things at Target and Bed, Bath and Beyond, trying to figure out the best way to decorate the chapel for cheap, or all of the stuff I just wrote, we’re having a blast!! I told John that after we get married, he may have to remind me that I’m not a bride any more. No more trying on pretty wedding dresses or getting gifts in the mail like it’s Christmas in April. But, I think I’ll manage. Because, ultimately, we are always the bride of Christ. And, that’s the coolest way that I can think of to be a bride!